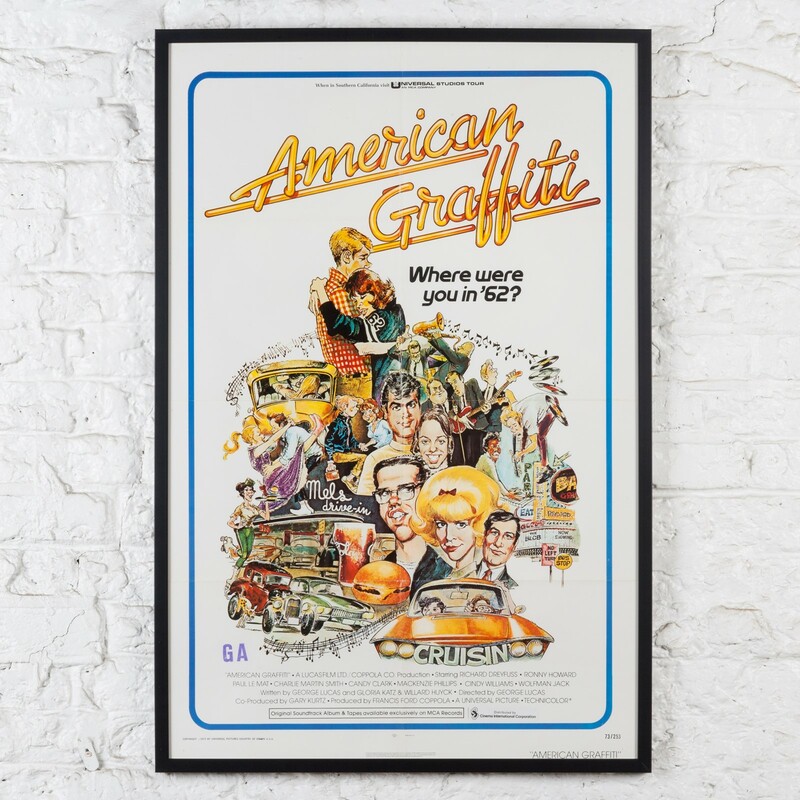 "It's one of those great old movies about romance, racing and rock and roll ... American Graffiti - where were you in ’62?" 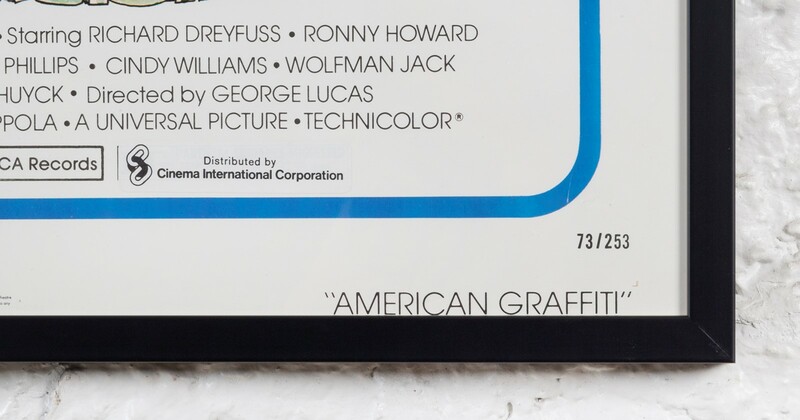 George Lucas’ 1973 American ‘coming-of-age’ comedy film is an absolute cult classic amongst petrol heads. Originally produced on a tight budged it went on to receive critical acclaim and has become one of the most profitable films of all time. Due to the initially tight budget, posters for this film are relatively scarce and good examples are highly sought after. This is a very good example - the NSS number in the lower right corner shows that it was produced for the 1973 release of the film and as you would expect for an original poster of this era it has been tri-folded for distribution to the cinemas and there's relatively minimal wear along the fold lines. 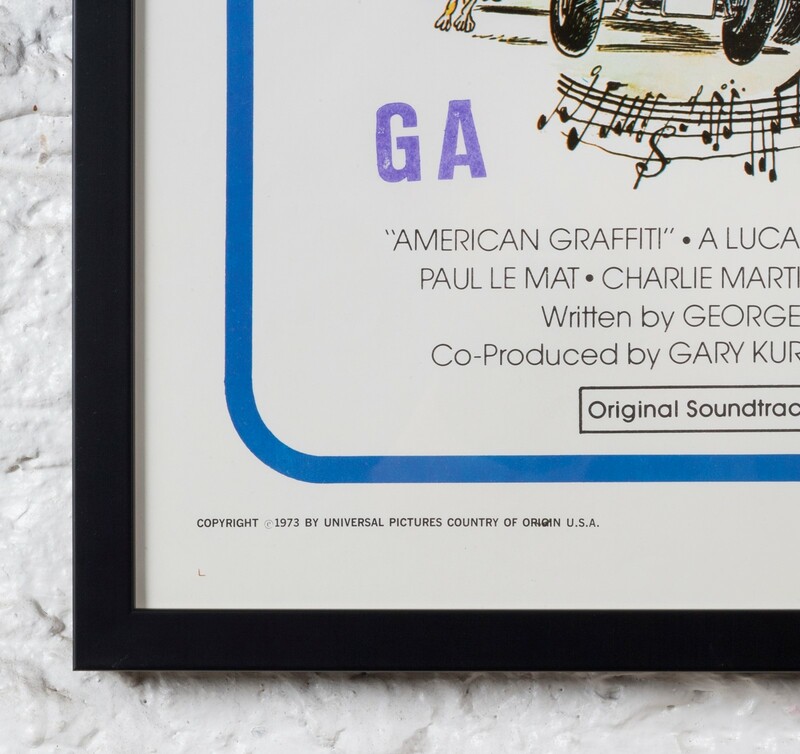 This poster has a rubber 'GA' (general audiences) ratings stamp in the lower left corner which is part of the charm of an authentic, vintage poster that would've been displayed at the time people first went to see this film in cinemas. The poster has been professionally framed using conservation grade backing paper and is ready to hang. Including the frame it measures 107cm high x 71.5cm wide x 2.5cm deep.